Deputy President William Ruto ordered stoppage of logging in the country for the next 90 days. Some traders are camping in different forests, burning charcoal and transporting it to Nairobi where it is in great demand. 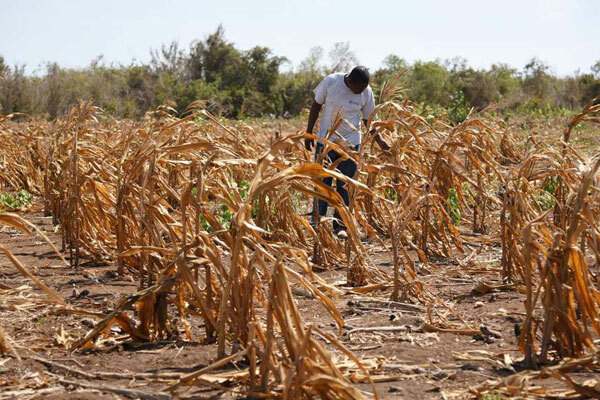 More than 241,000 people in the Coast region are facing starvation with Kilifi County being the hardest hit. According to the Kenya Red Cross Society, Tana River and Taita Taveta counties are also in need of relief food. The situation has forced residents in Kilifi to rely on charcoal burning, which has depleted forest cover in Adu and Galana ranches. Sabaki River has also changed its course affecting farmers in Lukole who depend on the water for irrigation. Out of the 25 water pans in Kilifi, only four have the commodity but they are drying up rapidly due to prolonged drought. On Saturday, Deputy President William Ruto ordered stoppage of logging in the country for the next 90 days. Mr Ruto said rivers are drying up at alarming levels and the edict would help the country find a solution to the problem. The KRCS regional manager Hassan Musa said the situation may get worse if rains fail and called on well-wishers to assist the affected population. “In Taita Taveta, approximately 77,000 people are facing starvation, 35,000 in Tana River and 129,000 in Kilifi. "Kilifi is worst hit, especially in Magarini where 51,000 people lack of food and water. In Bamba and Ganze 41,000 people need assistance, while 20,000 in Kaloleni and 10,000 in Malindi are at risk,” Mr Musa said. He said charcoal burning is one of the major coping strategies the Magarini residents have ventured into causing massive deforestation. “We should look for other coping strategies and find a solution because the forest cover will be depleted. "The water pans have dried up except for only four. We are calling on our partners and county governments to come and we address this matter as a team,” Mr Musa added. “They should give us an alternative to logging. More than 100 people are in the forest burning charcoal. My job is to transport from the forest to the wholesale market where lorries from Nairobi come to fetch the commodity,” Amos Chanjalo said. The 26-year-old rakes in Sh6,000 daily from the business. The county water, forestry and environment executive Kirigi Mwachitu said the residents are engaging in the trade due to poverty. A recent report by National Drought Management Authority indicates Magarini and Malindi are among worst affected areas, he added. Mr Mwachitu however assured the residents that relief food will be distributed. He said water distribution in Bamba has been disrupted by ongoing road works. The official said the county will dig 15 boreholes to address water shortage. Mr Mwachitu blamed non-locals for depleting the forest cover. “Charcoal burning is worrying. The report we have is that people from areas outside Kilifi are camping in forests,” he said, adding that Kenya Forest Service officials are patrolling ranches to deal plug the illegal trade.